So you’ve found the PERFECT vintage coat — except those shoulder pads have you feeling stuck in the ’80s? Never fear! 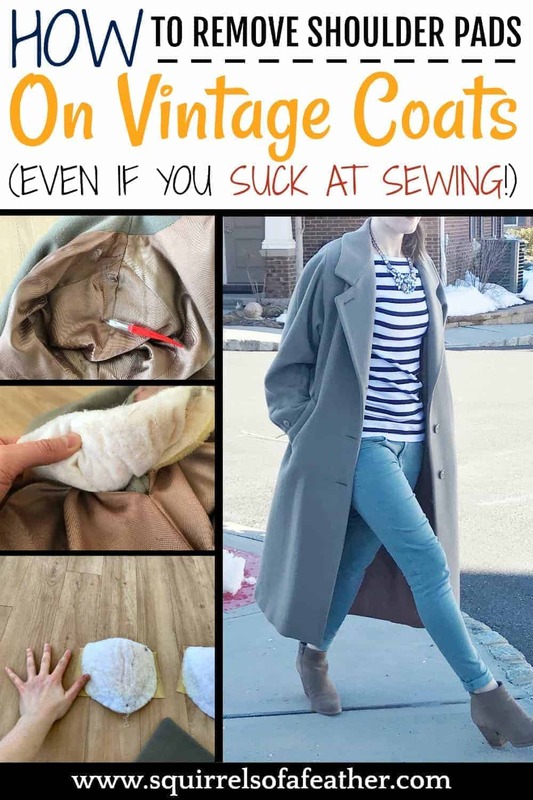 I am going to show you how to remove shoulder pads, so you can update your gorgeous vintage finds and bring them into the present! 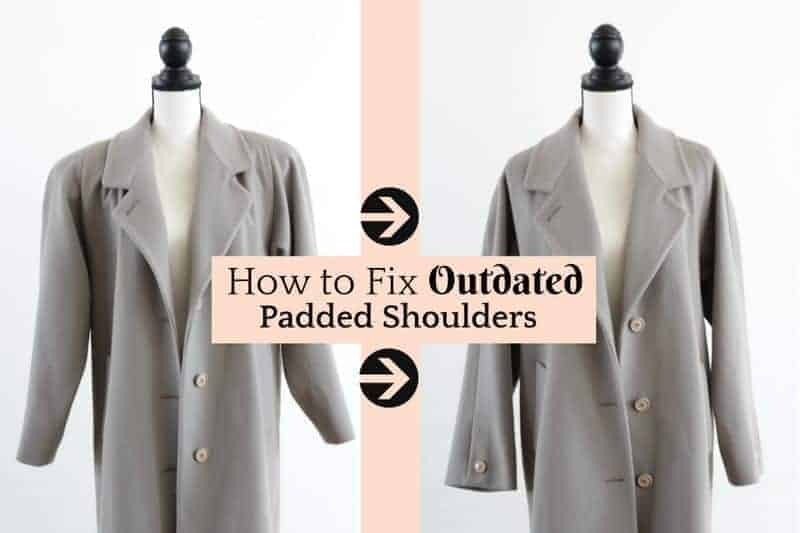 This shoulder pad fix is so simple, even people with zero-to-non-existent sewing skills can do it! Read on to find out how. How to remove shoulder pads — and why you should! Y’all, I am a big fan of eBay! Not only did I make $10,000 selling my old clutter on eBay, but I find GREAT DEALS on everything from kids’ toys to coats there. Take this camel coat, which I got from eBay for $29 (shipping included!). It was a steal, but I was decidedly NOT in love with the padded shoulders. I called my go-to dry cleaner/tailor and she told me that it was going to cost me $40 to take out the pads, as she would have to open two seams and get into the lining. Say whaaaat? That’s more than I paid for the coat! So I decided to do it myself, and if I am able to do it, I know that you can too! Check out that before and after shot! Before you go ripping your coat lining open, take a look at your shoulder pads. Can you move them around? Flip them under? Are you able to get an idea of what it might look like if you change/remove them? Some coats may actually look better with a little padding. You might choose to cut out only part of the padding. 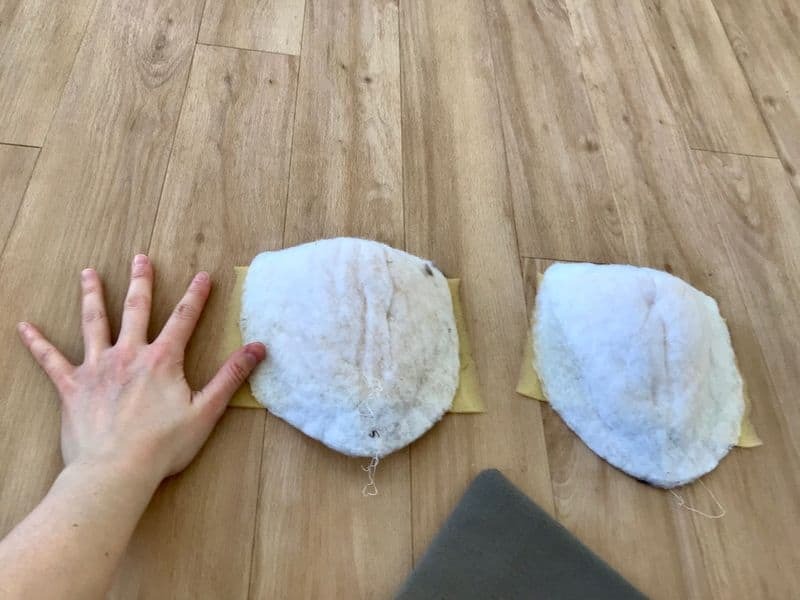 Depending on where the pads are attached, you might even be able to get away with folding the pads under and then just sewing them in place through the seam without opening the lining. If that is unfortunately not your coat, move on to Step 2. Lay your coat on the floor and decide which seam to open. 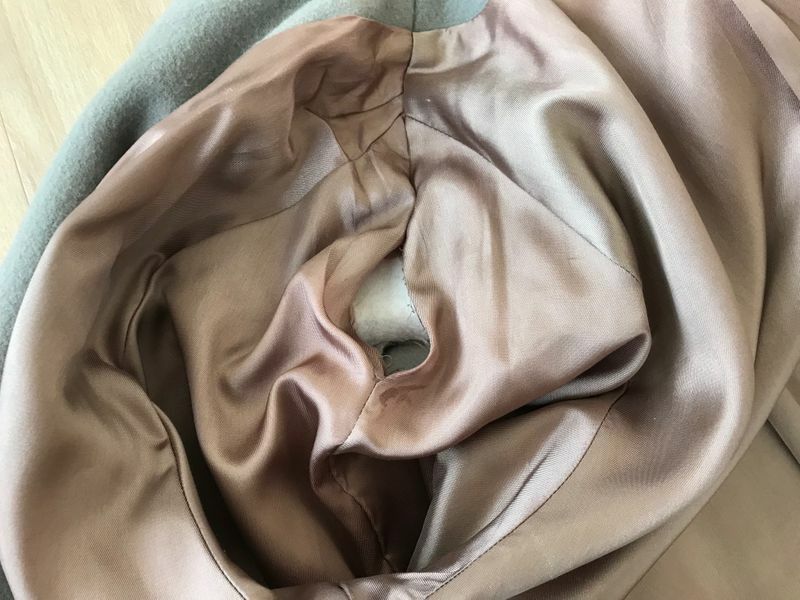 For this particular coat, the best seam was located directly under the shoulder pad (so if I were wearing the coat, it would be the seam TOUCHING my shoulder at the top, slightly down the arm, towards the elbow). 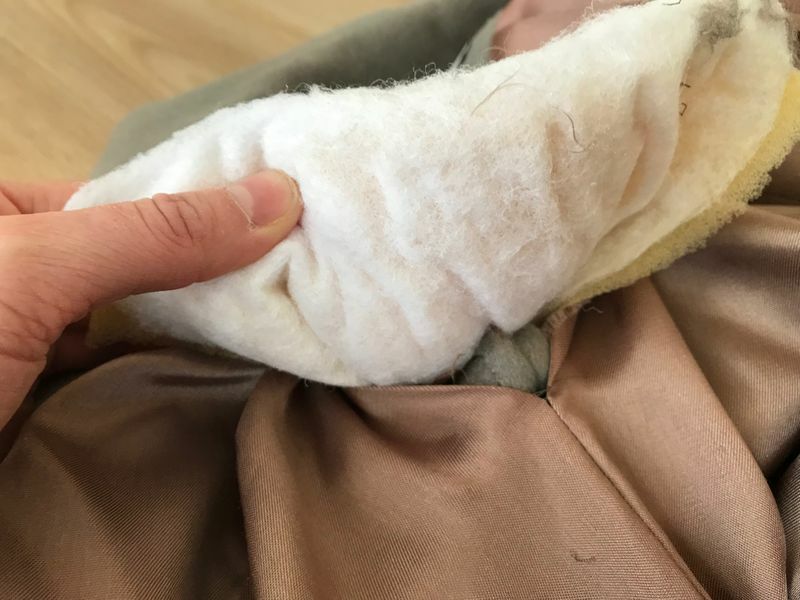 Don’t make the hole too big, it should be just large enough for you to be able to get your fingers in there and pull out the padding for inspection and removal. Also, try not to open a seam at a junction where several seams come together…that just makes more work for you! First, check and see how the shoulder pad is sewn in. 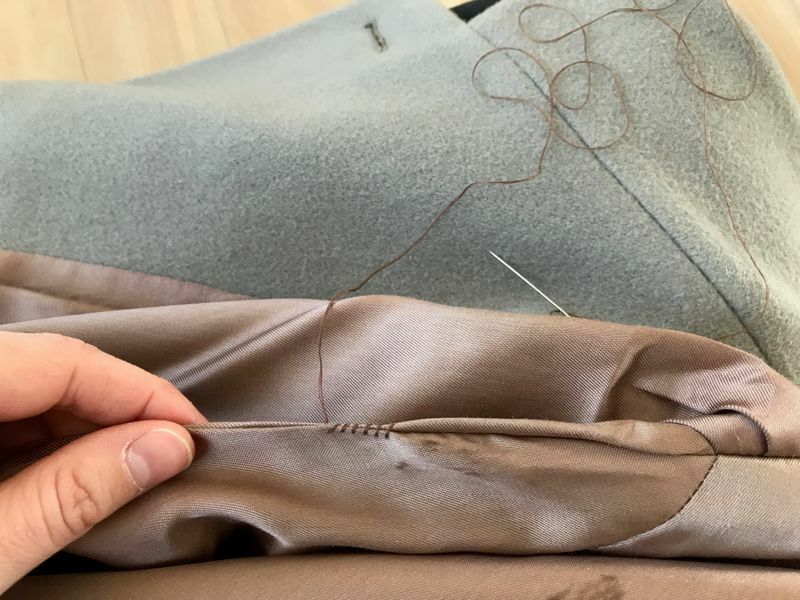 If it is sewn into the lining itself, it may be better to cut the padding off AROUND the seam and leave the sewn part in place, so you don’t have to sew that part back together. 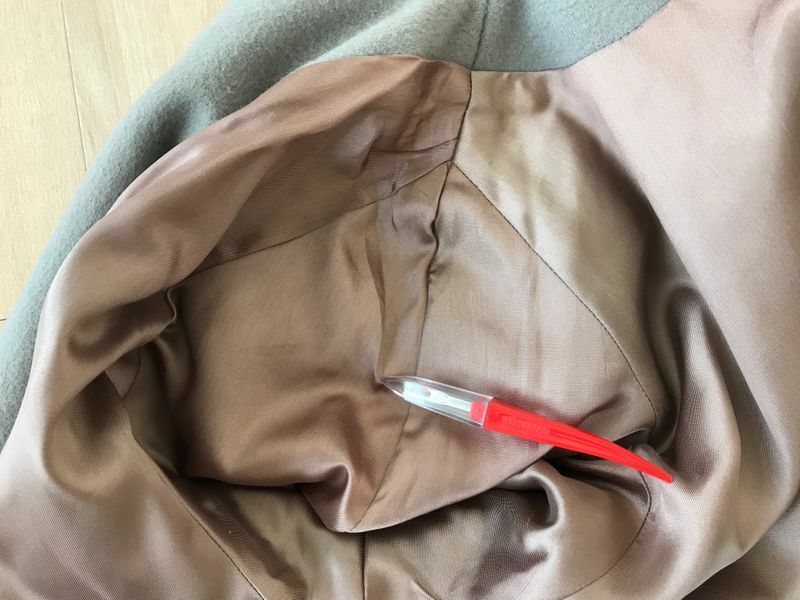 You don’t want to risk opening seam that would be visible to the outside of the coat. 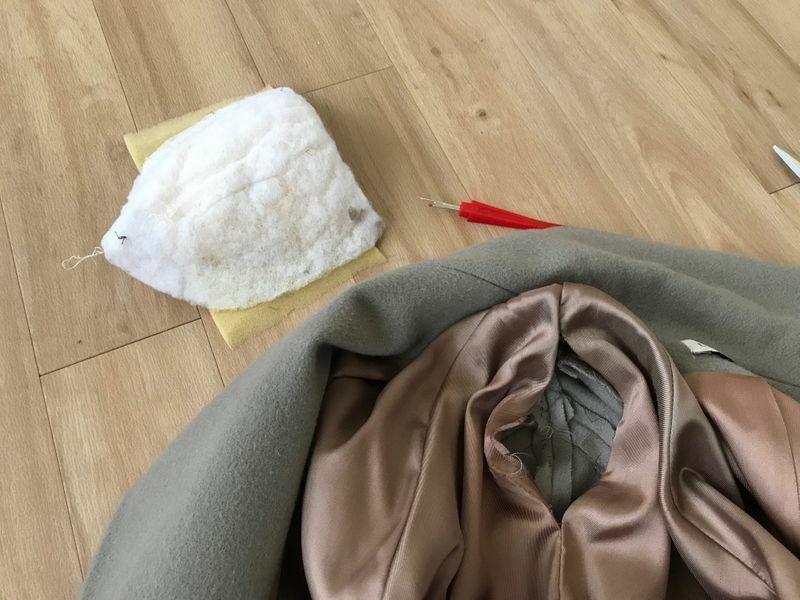 See in the images below how I inspected the shoulder pad and found the point of attachment that held them to the coat’s interior. 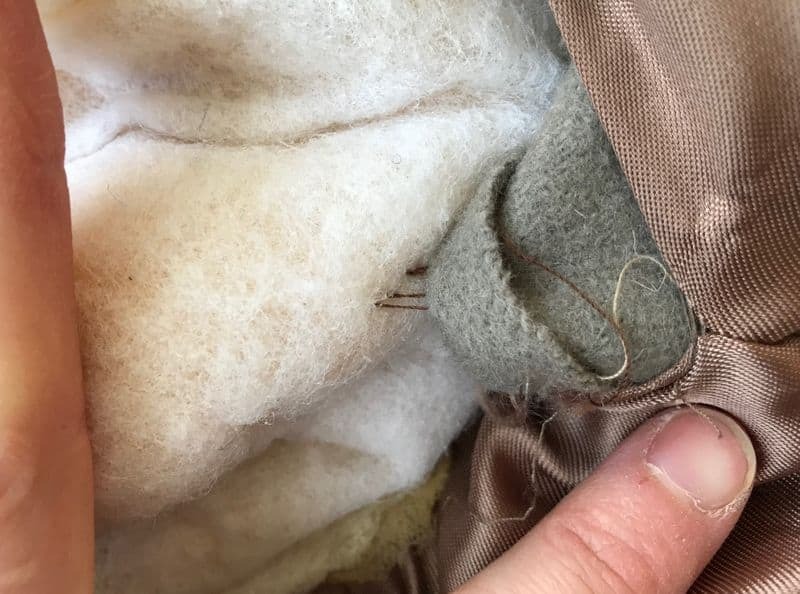 My coat was anchored in place by only a few threads, so I simply used my seam ripper to detach it from its place and remove it completely from inside. Check out these pads! They are bigger than my hands! Should I put them in my bra? Now that you have removed the shoulder pads on one side, repeat the same steps for the second side. It should be easier now that you have done it once. Try on your coat and make sure you are happy with the results before you move to step 5. This is the only part that requires sewing and it is easy peasy! You should be able to see where the lining was previously folded over and sewn together. 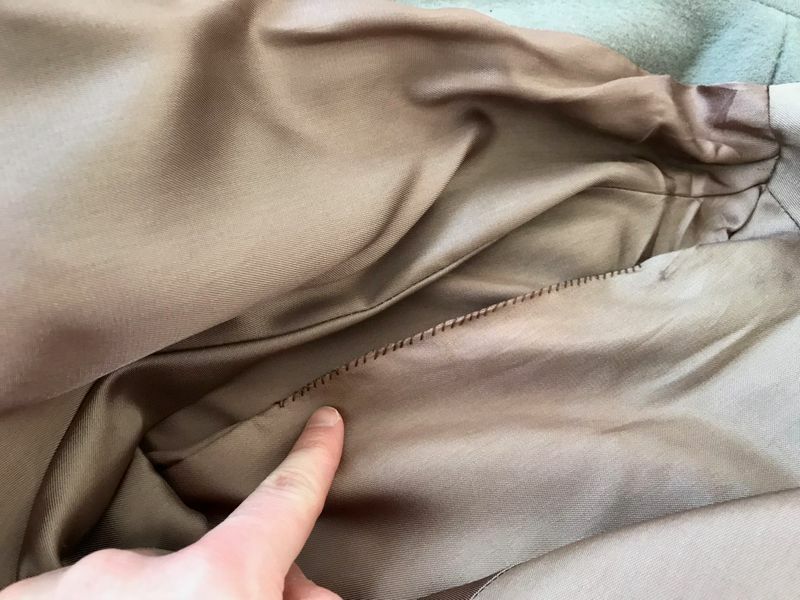 Try to press it back together so that the same holes line up and using a whip stitch, sew the seam closed. If you aren’t familiar with a whip stitch, check out this Youtube tutorial, which is the one that I viewed. Sew the other arm seam closed on the opposite side and you are done! Now try on your coat, marveling at the fresh feel! Here is what my coat looked like after sewing the opening closed with the whip stitch!